The first half of the 2015/16 Bundesliga season will go down in history. A whole host of records were smashed in one of the most spectacular Hinrunden of all time. But who were the standout players? Well you have voted FC Bayern München's Douglas Costa as your best left winger of the season so far. It was an extremely close contest between Costa and Marco Reus, but in the end FC Bayern’s jet-heeled Brazilian just got the nod to fill the left-wing slot in your Team of the Hinrunde. The 25-year-old took 49 per cent of the votes among @Bundesliga_EN users – just three per cent more than Reus – as well as 46 per cent on the @bundesliga_de poll, again just three per cent more than the BVB man. 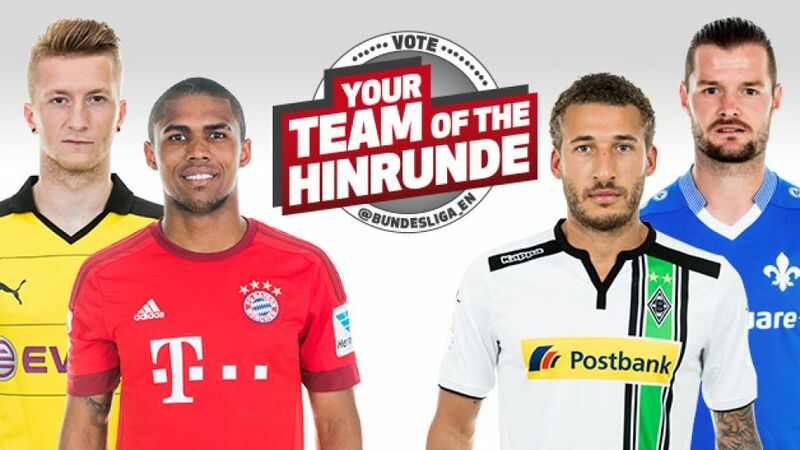 The winner is the man who picks up the most votes from both the @Bundesliga_EN and @bundesliga_de polls combined.